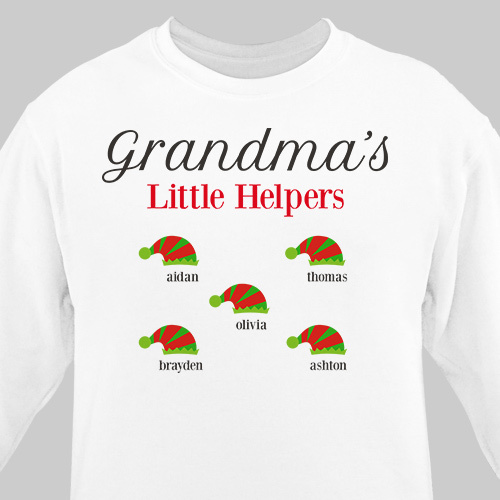 Celebrate the holidays with your little helpers by your side as you wear this festive Personalized Christmas Shirt. This design may be personalized with any title and up to 30 names, so it makes a great gift for the holidays. this little helpers sweatshirt was for him and he loves it.